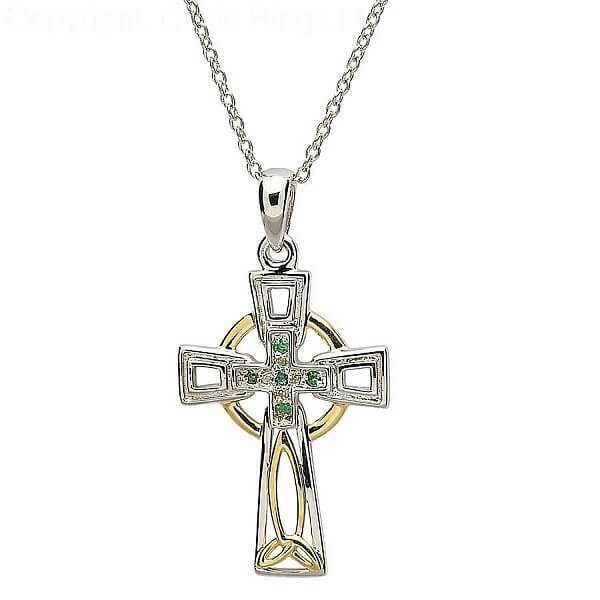 An intricately beautiful Celtic cross, four diamonds and five emeralds are expertly set to form a cross in the center. The piece is finished with a gold plated triquetra and the circular border. The Trinity knot diamond & emerald cross is sure to please. 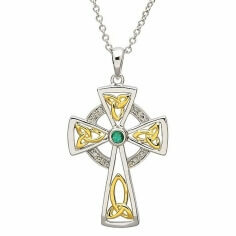 Expertly handcrafted in Ireland before being tested and hallmarked by the Dublin Assays Office. 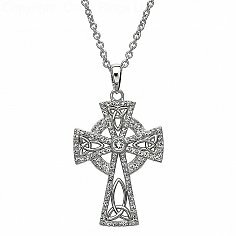 This cross comes with a luxury presentation box.